MI's Alzarri Joseph. Image - BCCI/SPORTZPICS. 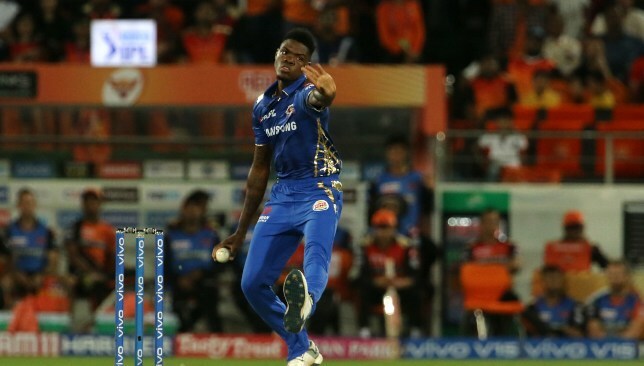 Mumbai Indians pacer Alzarri Joseph is likely to be ruled out of the remainder of the 2019 Indian Premier League (IPL) campaign after sustaining a serious injury in his side’s loss to Rajasthan Royals on Saturday. The West Indies pacer had picked up the injury on Saturday in Mumbai’s clash at the Wankhede while attempting to dive on the field. According to a report by ESPNcricinfo, the fast-bowler has sustained a tear in his right arm and is likely to play no further part in his maiden season in the IPL. 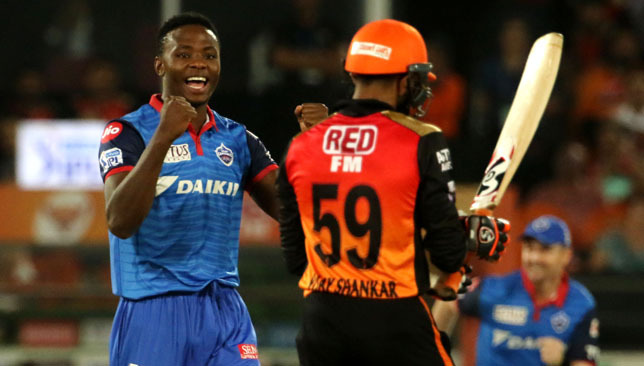 Joseph had come into the Mumbai side as a replacement for the injured Adam Milne of New Zealand before he was handed his debut in the clash against Sunrisers Hyderabad. 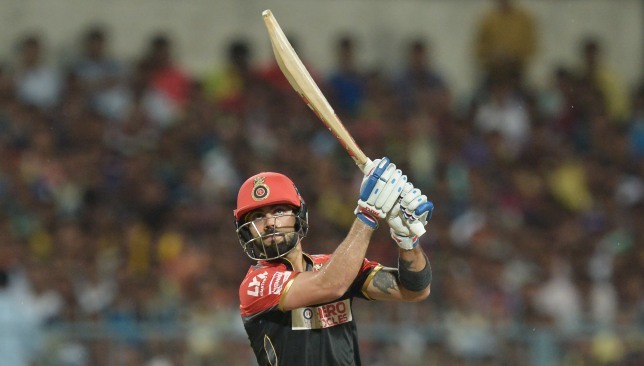 The fast bowler produced a devastating spell in his maiden IPL outing with his figures of 6-12 being the best-ever recorded in the history of the competition. Just one week later though, it looks like the Windies man’s IPL has come to an end. The pacer had gone for 22 runs in his two overs in his second outing against Kings XI Punjab while he had already conceded 53 runs in three overs prior to picking up the injury against Rajasthan. With Joseph likely ruled out, Mumbai will turn towards their veteran pacer Lasith Malinga who has not featured in the playing XI since the side’s clash against Chennai Super Kings on April 3. Rohit Sharma and his men are next in action on Monday when they take on Virat Kohli’s Royal Challengers Bangalore at the Wankhede stadium. 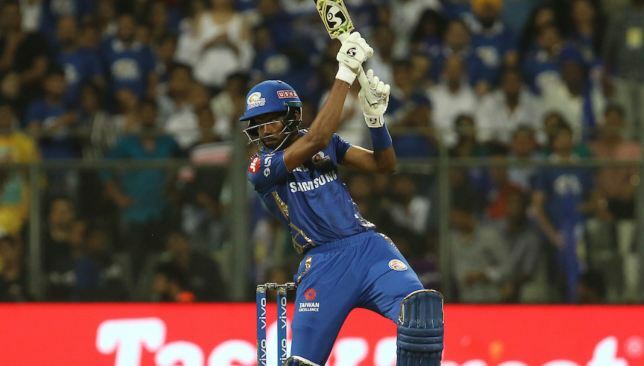 The 2019 Indian Premier League (IPL) season heads into match 31 with Mumbai Indians hosting Royal Challengers Bangalore on Monday. As fans, watching the action is not the only thing to look forward to – IPL fantasy games mean you have the opportunity to get involved as well. As the IPL’s official partner, Dream11 runs a daily contest for each game apart from the default format which is conducted per round. Here, we focus on helping you navigate your way through the form. His form this season has left a lot to be desired but the Indian skipper went about rectifying that with a half century against Kings XI Punjab helping his side to their first win this year at the seventh time of asking. A fine knock of 67 off 53 balls followed good displays in the previous two matches as well in which he scored 41 and 84. This uptick in form has seen his average shoot up to a healthy 38.57. With the consistency he’s starting to show and the fact that the monkey is finally off his back after a first win this season, he could be primed to come good again. Perhaps RCB’s most consistent performer this season, Yuzvendra Chahal continues to rank among the best bowlers this season with his tally of 11 wickets second only to Imran Tahir and Kagiso Rabada. The spinner took two scalps in the last game as well dismissing the in-form KL Rahul before leaving Mayank Agarwal clean bowled. While Hardik Pandya has been pretty expensive with the ball in hand, going for 10.34 an over, he does have six wickets to his name and that’s what matters in fantasy cricket. The fact that he usually bowls two of his four overs right at the death means he can get smacked around but with the batsmen taking risks, he’s always likely to pick up a wicket or two. Meanwhile, he’s been pretty impressive with his batting down the order. An average of 37.25 while boasting a strike rate of 183.96 would suggest as much. His impressive cameo of 28 not out from 11 deliveries helped Mumbai to a score of 187/5 against Rajasthan Royals last time out. After finally coming good with the bat during his excellent knock of 81 from 52 balls in the defeat to Rajasthan, Quinton de Kock has become a far more appealing fantasy option. The South African consistently picks up wicketkeeping points for dismissals with his tally of nine ranking second this season. If he can string together some good displays at the crease, he’ll be hot property.